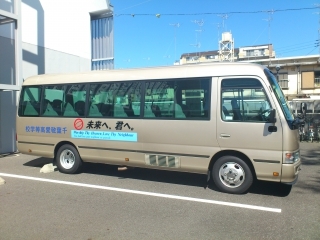 Chiba Keiai Senior High School runs its own school bus between the school and Keisei Katsutadai Station. The lower fare and direct route save both money and time. 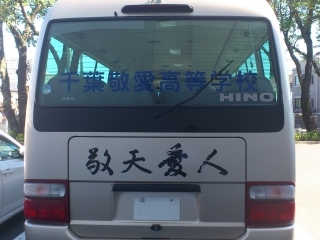 For safety, only Chiba Keiai Students may use this bus. A large map of the 1st, 3rd,4th bus routes ( by way of Shizu・Yukarigaoka ). 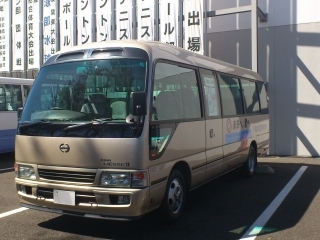 A larger map of the 2nd bus route (by way of Shizu). A larger map of the 5th bus route (by way of Yukarigaoka station ). A larger map of Keisei Katsutadai South Entrance. 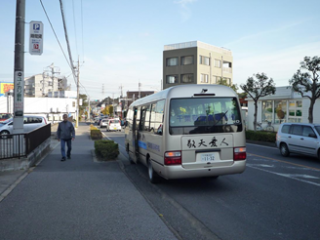 【photo】The stop is located across from Nishi Shizu Osteopathic Clinic. A larger map of Nishi Shizu 4 Chome . 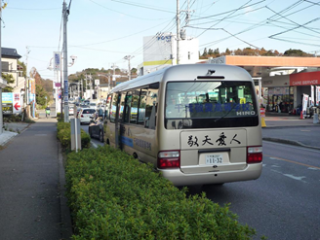 【photo】The stop is located across from Dokomo shop Sakura Branch. A larger map of Nishi Shizu 1 Chome. 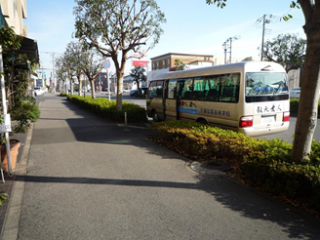 【photo】The stop is located at the crossroads in front of the South Entrance to Keisei Shizu station. A larger map of Shizu Station Entrance. 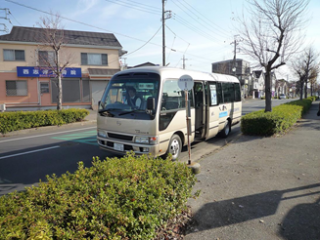 【photo】The stop is located in front of Yukarigaoka Station Entrance ( Yahashidai Sakashita). A larger map of Yukarigaoka Station Entrance. 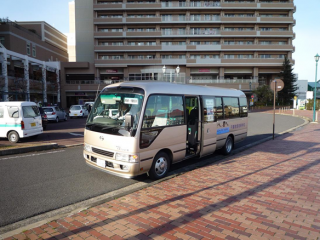 The 5th bus does not stop at Yukarigaoka Station Entrance but at Yukarigaoka Station Rotary. A larger map of Yukarigaoka Station Rotary. Please submit your application to the office window at the school. 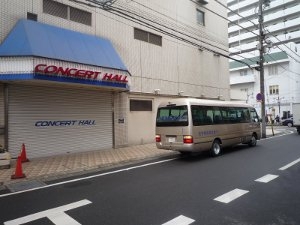 28,000 yen per semester ( 4 months ). Upon payment of the first semester’s fee, students will be issued a 1-year pass. The remainining fees are due on the first day of the 2nd and 3rd semesters. 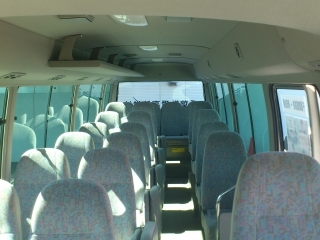 If you have questions, please contact the school and ask for the person in charge of the school bus.